DESCRIPTION Open House Sunday, April 21 from 2:00 to 4:00 pm. This fabulous find in Evanston is fully finished on all three levels offering 1436 square feet. With character and charm this modern, upgraded end unit townhouse is turn key ready. The main floor with nine foot ceilings features an open concept living room, dining room, powder room, a gorgeous kitchen with silver pearl granite countertops, breakfast bar, glass mosaic backsplash, stainless steel appliances, maple espresso cabinets with illuminated lighting. The generous master bedroom has a walk though closet accessing the four piece bath. An additional guest bedroom completes the upper level. The lower level offers a media room including projector, big screen, a four piece bath, stacking Samsung washer, dryer and a High Efficiency Furnace. Easy access to the energized, assigned parking stall. A location with a fine reputation of new Public or Catholic schools. Simply sensational, Christmas ready for a quick possession. 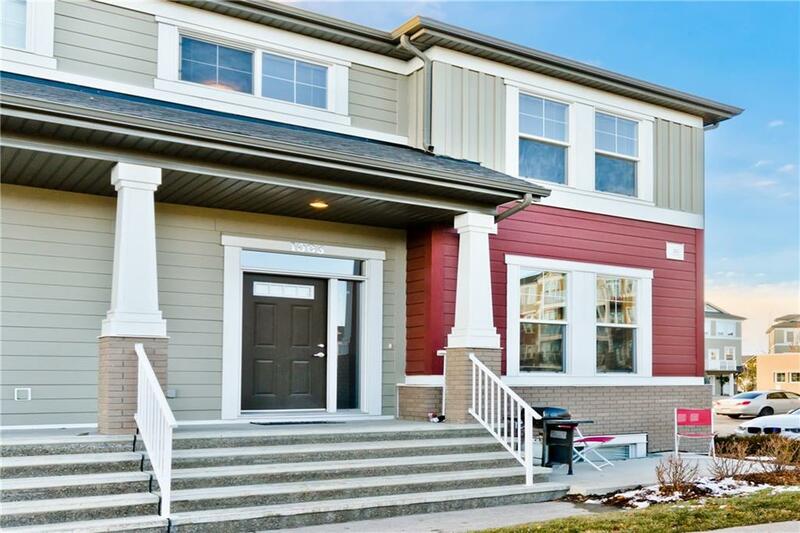 Home for sale at 1003 Evanston Sq Nw Calgary, Alberts T3P 0G9. 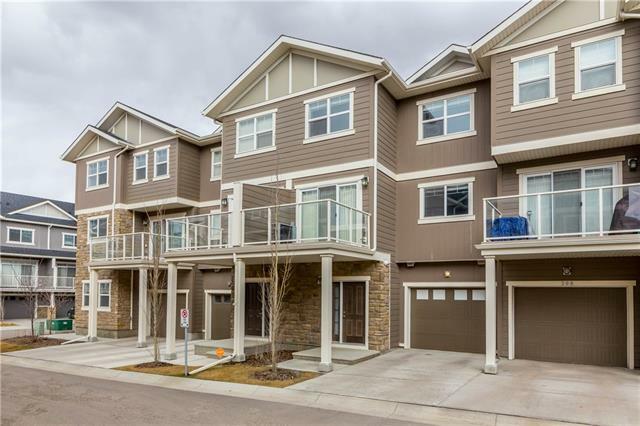 Description: The home at 1003 Evanston Sq Nw Calgary, Alberta T3P 0G9 with the MLS® Number C4218566 is currently listed at $294,900.